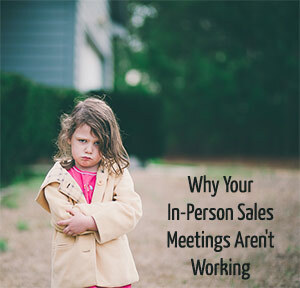 So how can you ensure that your In-Person Sales meetings will end with a sale? A client who orders nothing is a client who didn’t have enough information. Were they fully aware of your product pricing beforehand? Does your website list a general starting price point and average spend amount so that people can budget before they book? Did you email them a full price list after they booked? Making sure clients have all the information in advance is vital in helping ensure a sale for you. Use the term “ordering session” when you explain it. Does your client know that the in-person sales session is in fact for sales and not just a “session premiere?” It may seem like a no-brainer to you, but trust me, it doesn’t necessarily come across that way. Sometimes in our attempt to sound more appealing we forget that the terms we use aren’t always clear to our clients. Start by making them feel comfortable. Chat like you’re old friends. Ask them about their day before launching into your sales pitch. This is especially true if the in-person sales session is taking place in your client’s home. Remember, you’re a guest so use your manners. You know what I love about my lab, ProDPI? The quality, yes. The customer service, yes. But I could get those things elsewhere as well. I love that they include candy in every package. An unexpected gift goes a long way, especially when coupled with quality and customer service! Imagine showing up to an ordering session where your client is expecting to spend something, only to first be given something. For example, a box of chocolates, specialty teas, a tin of shortbread cookies, etc. It doesn’t have to cost much. Have you ever noticed that budget friendly restaurants usually have menus that are multiple pages but when you go to a fine dining restaurant the menu is usually only a single page? If you have 30 different options for dinner, it’s hard to choose. Everything looks good. But when given only eight options, some of the pressure is removed and you can make your selections more easily. Having too many product offerings can be overwhelming and will decrease sales. Instead, focus on 3-4 quality products that you really want to offer and that you love enough to believably sell to someone else. That way clients aren’t getting stuck in the middle of the road while oncoming traffic heads straight for them. This applies to the number of images you show your clients as well. The average client won’t display more than three or four of their session images in their home as wall art. Add in a half dozen different gift print images and that’s still less than ten images total. If you show them 50 proofs they can easily get overwhelmed trying to select only ten! In situations like this a client may freeze up and find themselves unable to make a decision. Narrow it down! Show only the best of the best! And not only that, but show the images you think your client is most likely to buy, not necessarily your personal favorites. When people really love the images you provide, they tend to want more than they initially thought they would spend. In this case, having a payment plan option is a great way to make sure they don’t go back and take things out of their order. The last thing you want is for them to cut their order in half, even though they really want it, simply because they can’t pay the entire amount right there and then. Not sure what you need to do this? 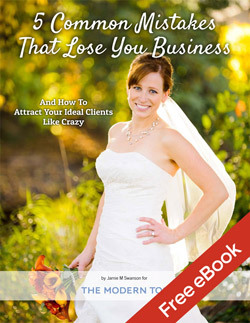 Pick up a payment plan contract from Rachel Brenke over at The Law Tog store (affiliate link) and you’ll be set to go. Just click “Payment” in the sidebar on the right. Right now through Friday they are 40% off using code “LawTogLove” when checking out! In-Person Sales isn’t rocket science and anyone can do it. Maybe you feel the same way about In-Person Sales that I do about spiders but hey, if I can overcome my fear and squash those nasty 8-legged creepy crawlies then you can overcome your fear of In-Person Sales too! Please use the comments section below to share with me how you’ve put these things into practice, or how you’re going to!